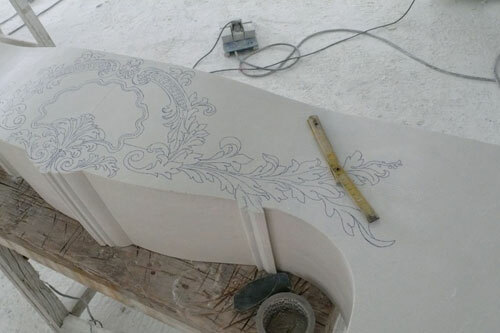 Throughout history architectural elements such as fountains, fireplace mantels and columns have been the essential components of luxurious villas, chateaux and homes around the world. 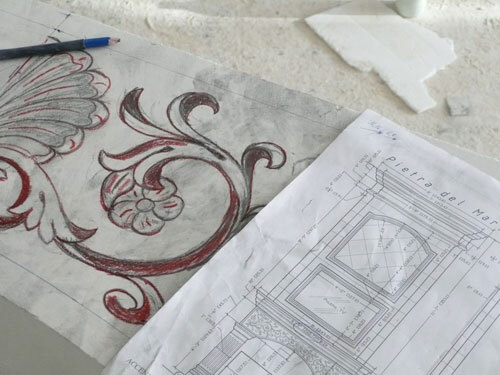 Today there is a resurgence of these refined “finishing touches” as designers, architects and builders are being asked by clients to find ways to make their homes and businesses more personalized to better reflect their lifestyles and passions. Barbara Tattersfield Design creates elegant Old World styled stone furnishings for both interior and exterior use exclusively to each client’s specifications. 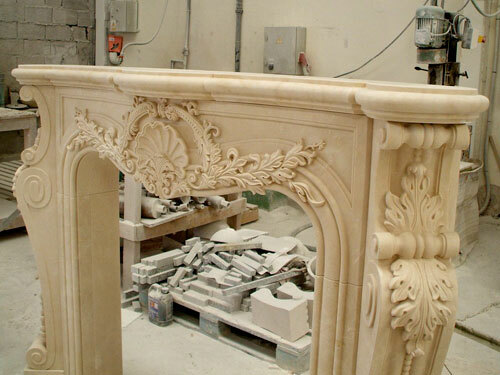 Our natural stone appointments include fireplaces, columns, fountains, niches, door surrounds and much more. 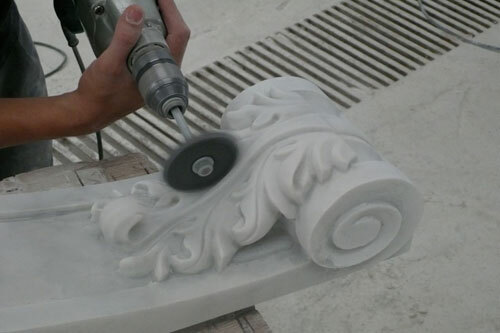 Every appointment is carefully designed and hand-carved in intricate detail by our skilled craftsmen using advanced technology combined with age-old techniques. This blend of old and new ensures precise measurements, durability, timeless beauty and a look uniquely suited to each individual. True architectural beauty and splendor begins with a vision and evolves as all elements are created in continuity to the particular design style. 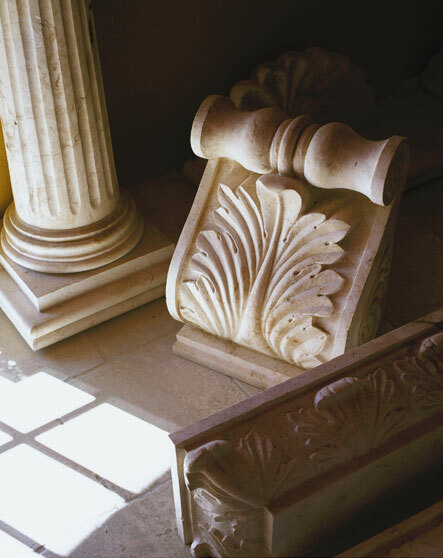 Whether influenced by a Renaissance, Tuscan or other classic architectural theme, there is nothing more inspiring than exquisitely carved stone – on a grand scale or elegantly understated. Not only does it exude a state of permanence but the effect on a home or estate can truly be one of transformation from a beautiful home to a truly distinctive beauty to behold by all. From the initial concept to the final installation, our professionals work directly with your team to create a design consistent with the existing architecture/interior design. Please take a moment to look at the following pages where you will see examples of our work in some of the most elegant homes. 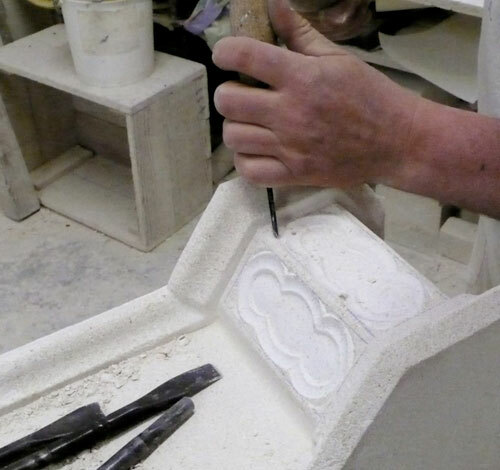 We hope you enjoy the essential quality of natural stone made uniquely for each setting. On site, we determine our client’s design objectives and take specific measurements critical to the design completion. 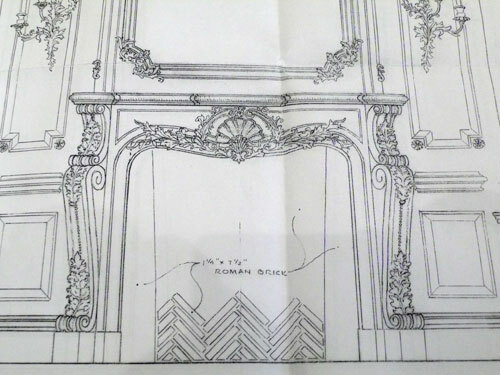 Our fireplaces consist of more than 20 separate sections, whereby each component must be carefully designed, cut and carved by hand to form the fluid pattern established in the working drawings. Our professionals coordinate directly with the architect and builder to provide framing plans.